It is a nine hour train ride from Rome to Taormina, about 750 km (466mi), and worth the extra 20 Euros for first class – which just means you get a semi-private cabin with up to passengers instead of open seating among sixty. 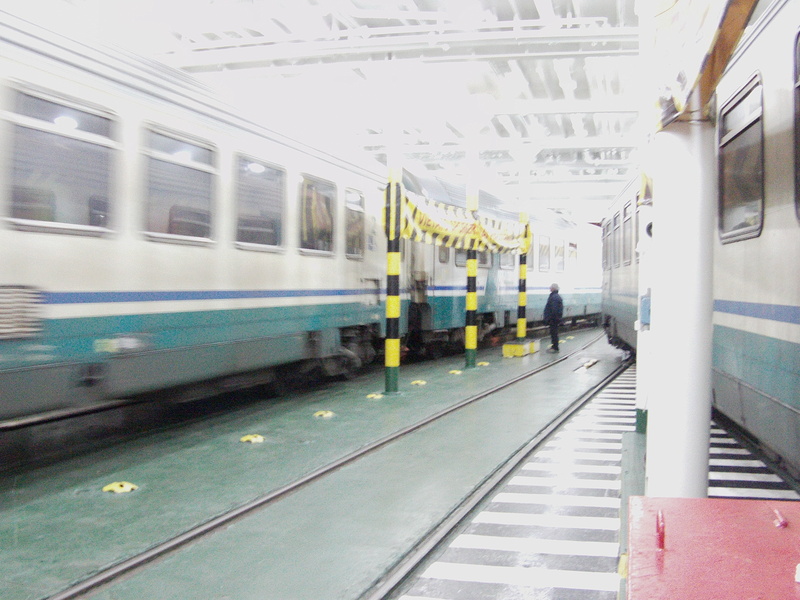 Before we left, a friend and classmate here told us that the way they got the train from the mainland to Sicily was by loading the passenger cars on a boat and then shipping us across! There’s only a mile and a half at the straits! If there’s a tunnel running 26 miles from England to France, surely they had a bridge or something for Italy to Sicily. Our skepticism melted when we got to the port of Villa San Giovanni, where, as predicted, they drove the train right onto a massive ferry and we set sail for the Sicilian port of Messina! When we arrived at about 930pm, we discovered that the train station was actually 5 km drive up a winding road up a vertical climb of 700’ to the town of Taormina. But, we were actually staying a couple towns over, in Letojanni – 7 km away. By A.J. Boyd in La vita Roma on December 26, 2009 .